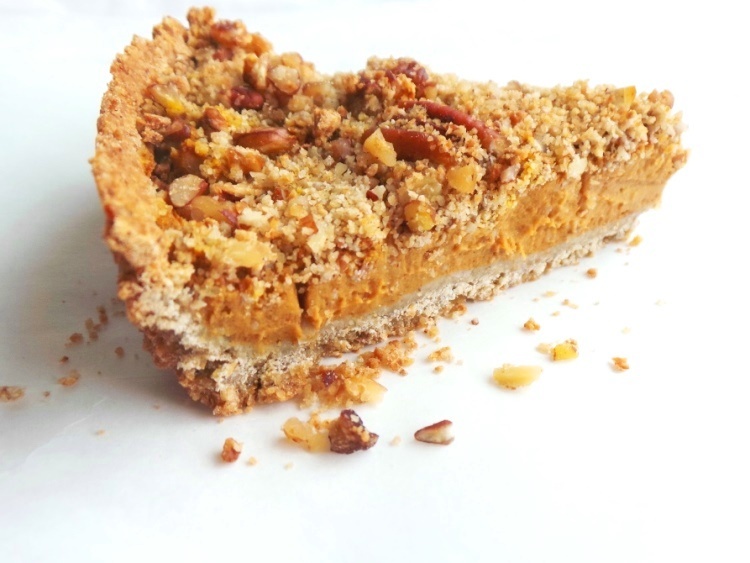 WARNING: This crumbly creamy vegan butternut squash pie will make you overeat. But in a good way. I’m not a big fan of butternut squash or pumpkin – I’d eat them, but I wouldn’t go looking for them on purpose. 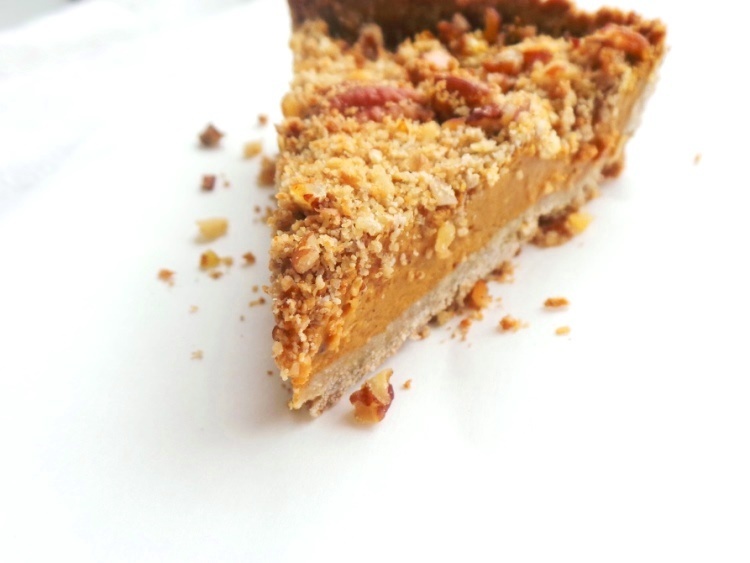 Oh, how a humble crumble pie can change everything. 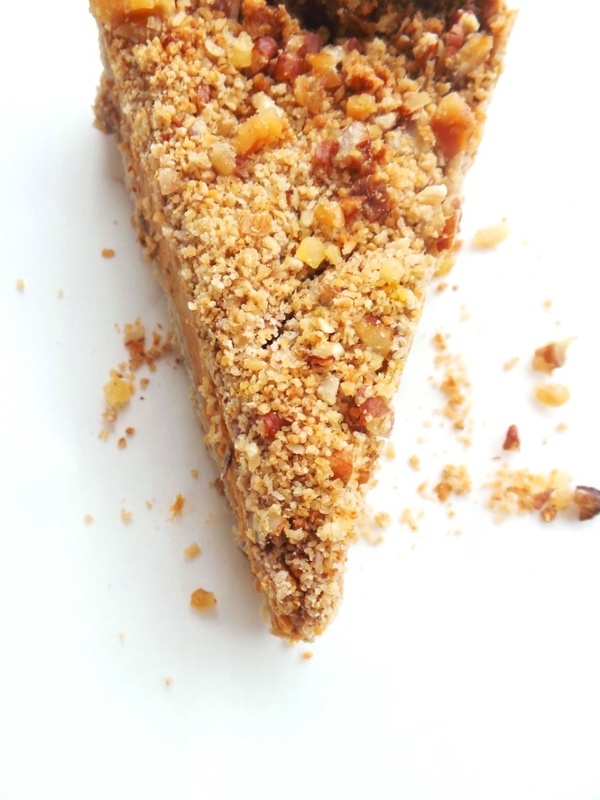 I made this pie after I made my delicious apple crumble mini pies. Those little weirdos were the main character(s) of my sweet dreams for weeks. It was like, they were One Direction and I was going in that same direction. Obviously the last few days I’ve been taking poetry classes, but I’ve also been looking for a new crumbly friend. Then our eyes met. That butternut squash has been sitting there over a month now. The butternut squash knew it. It was time. I took a knife, halved the butternut squash, peeled it, removed the seeds, chopped it into million pieces and boiled it. This was the hardest thing I’ve ever done. That squash is not easy to peel or cut in half. But so worth it. That filling. OMG. 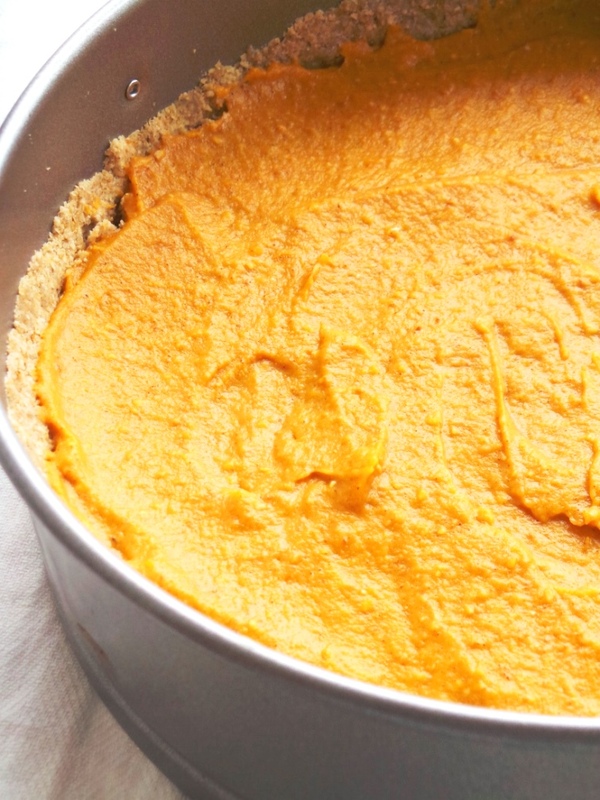 Who knew it’s possible to make something so creamy and delicious out of something that looks (AND TASTES) like baby food (pureed butternut squash)? It’s spicy, sweet enough, but not overly sweet and did I say CREAMY? 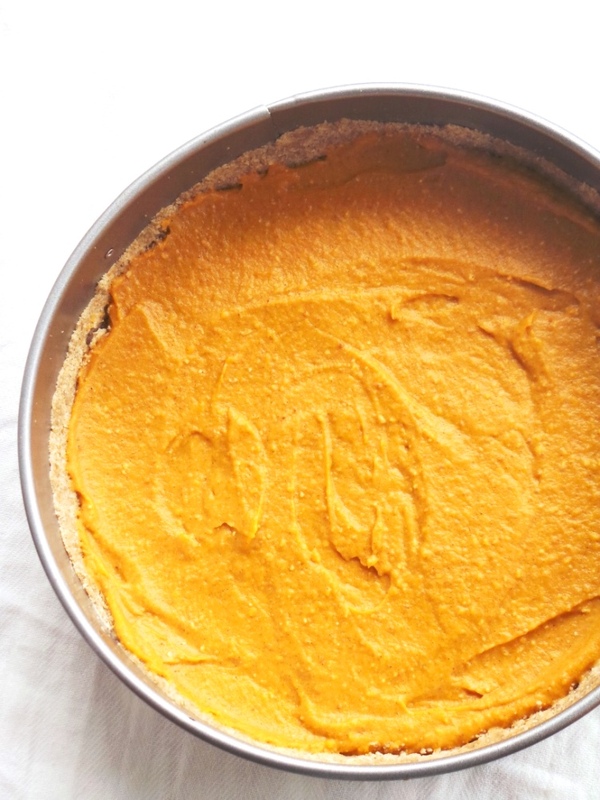 The magic of the filling in this pie is in the coconut oil and coconut cream. When they’re both in there – creamy creamy creamy. And if you think this filling will be falling apart and not being able to hold still, because you haven’t used any eggs or anything else (aside from 1 tbsp oats) to thicken, you my friend are adorable, but very wrong. You know how coconut oil and coconut cream get solid when they’re left in the fridge? We’re using science here. Or common sense. 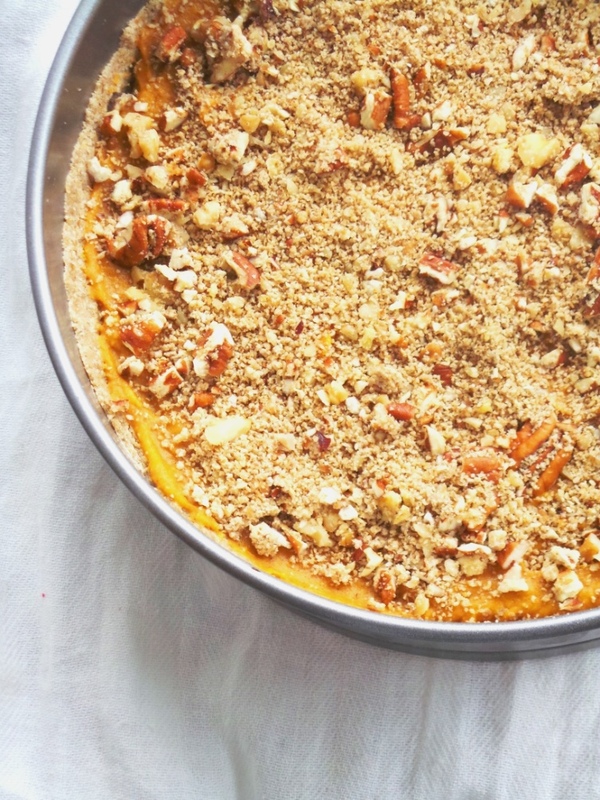 Key here is to let the pie cool for at least 6 hours in the fridge after you bake it. I don’t know who’s working at those unhuman temperatures in the fridge, but it must be someone called Miracle, because in 6 hours that guy seems to turn baby food into the creamiest filling ever. If you try the filling 1 hour after it’s baked don’t expect it to be creamy. Also don’t expect to actually like it. However if you taste the pie the next morning for breakfast – which I did 3 days in a row – you won’t be able to stop eating. That texture is amazing. 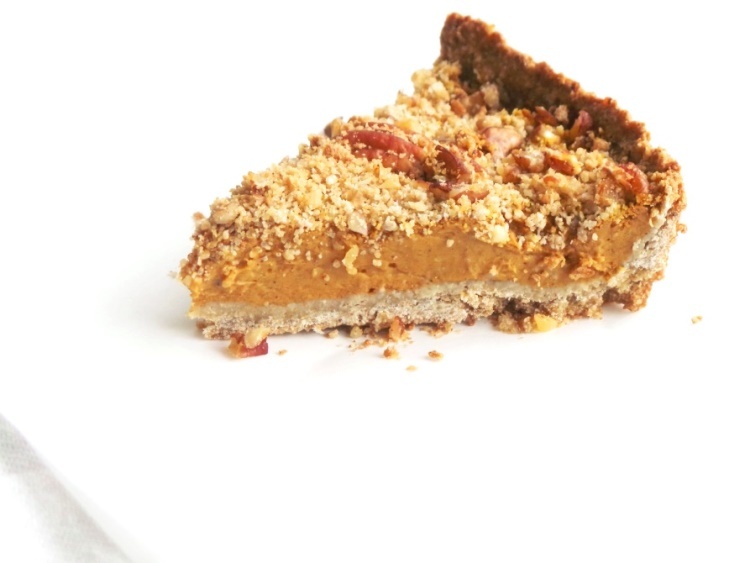 I have to be honest about the spices though – I added a little too much clove for my taste in this pie. Okay, I have to say – I hate cloves. Why? When I was a first-semester biochemistry student I had this course in organic chemistry and me and a friend had to isolate a chemical called eugenol from cloves. For weeks the only thing I smelled were cloves, so many of them. Cloves everywhere. I started hating their guts! In the end it all worked out, but till this day when I smell cloves I think of organic chemistry. Mmmmh. That clove however didn’t stop me from eating a whole pie by myself in 3 days (don’t judge). 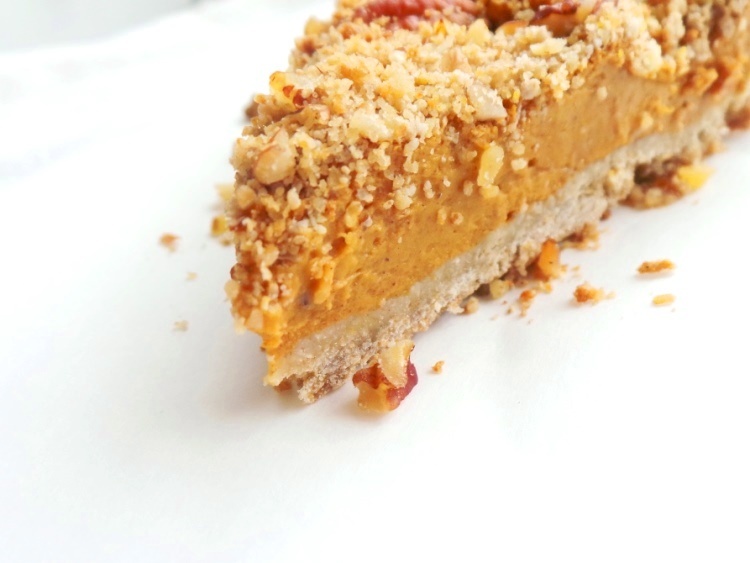 This butternut squash crumble pie is vegan, you can also make it gluten-free if you use gluten-free oats. And I’m pretty sure you can also make it without all the baking – just skip the baking part. I just like the crust crispier and crumblier. As far as health benefits go, we’ve got only good stuff here – carotene from the butternut squash, fiber from the oats and the dates, healthy fats from coconut oil to absorb the catorenoids and let’s not forget the little bit of anti-inflammatory ginger and cinnamon we’re using here. A very creamy and delicious dessert that you can also have for breakfast. 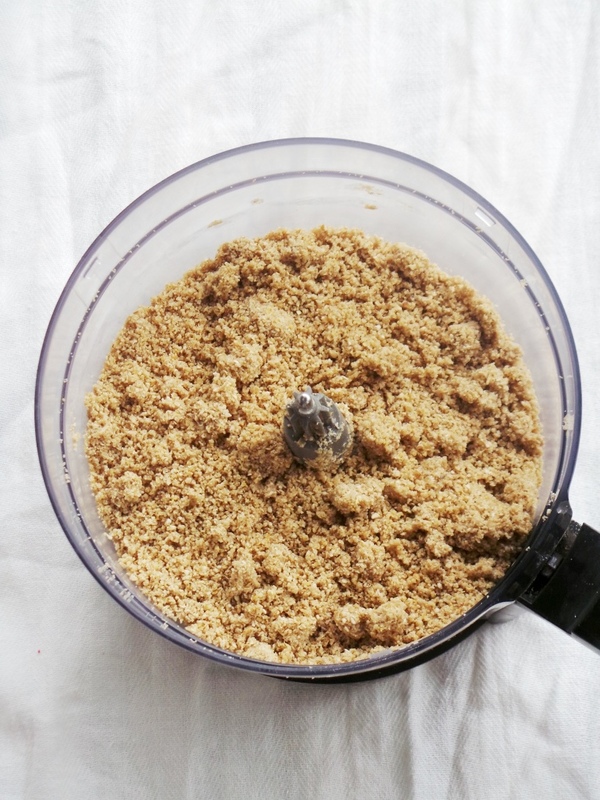 Crust: Grind oats in a nut/coffee grinder or tin your food processor. Combine oats, coconut oil and agave/honey if not vegan in your food processor and pulse. Add water 1 Tbsp at a time and pulse again. 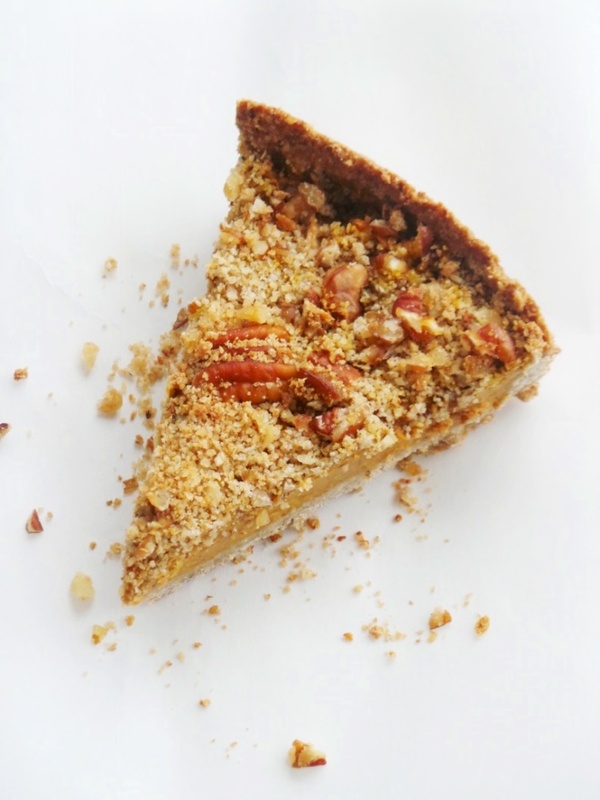 The crust should be sticky, but crumbly. 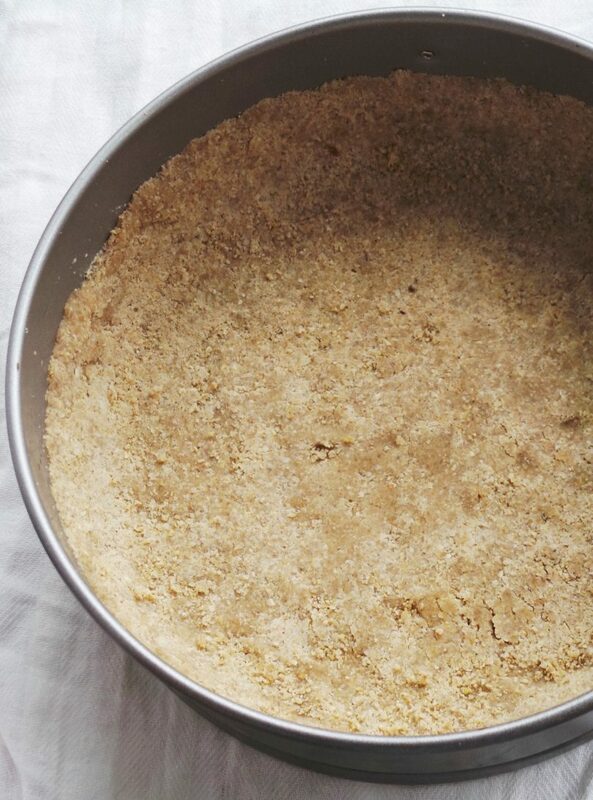 Cover the surface of a springform pan with coconut oil and pour in there the crust mixture. Start pressing the crust mixture from the middle to the sides of the pan, working your way up with your fingers. Filling: Cook a medium-sized butternut squash, puree with a hand blender until you have about 2 cups of butternut squash puree. If you have less (like 1,5cups - that won't be dramatic). Puree the dates (must be soaked for 30 min before that) with a hand blender until very smooth. Pour both purees into a mixing bowl, add coconut cream, the ground oats and coconut oil and puree with the hand blender. Add cinnamon and ginger and mix everything well together. Try the filling - do you need something to adjust to your own taste. This is the critical part for the taste - if it's not sweet enough, add more dates, maybe more cinnamon or clove? I did like the taste of mine like this though. When you're done, pour mixture into the crust and smooth it out. 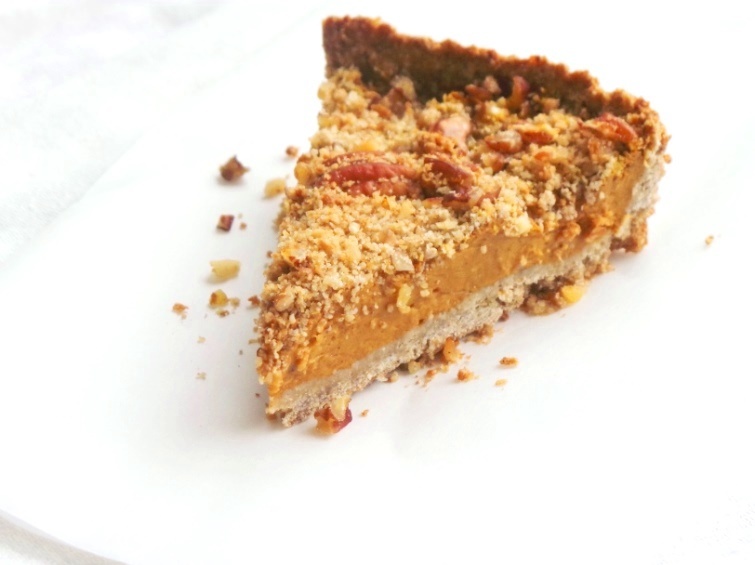 On top arrange chopped walnuts and pecans (I also put some more crust on top - but that did not add much). Bake at 180C/350F for 30 minutes. Take out, let cool off. Cover and let cool in the fridge for at least 4-6 hours, if you can over night. Serve like this or with whipped coconut cream.